Her first tattoo was a star on her wrist in 2004 and Ashlee explained the meaning : « The first tattoo I got was a star and I got that with a few of my best friends. I have that one when I finished my first record and I have ‘Love’ on my other hand when I finished my second record ». since, she completed it with a flower. 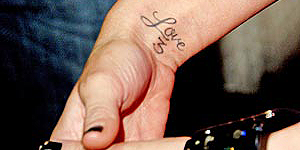 Then, in 2005, she tattooed her second wrist with a « Love » : « I got ‘love’ because for me love is the most important thing. So I can give people love ». Ashlee said that it’s not for a boyfriend : « It’s like Spider-Man, like you shoot love to people ». 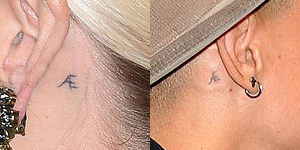 In 2007, she added a 3 on her tattoo in honor of her assistant, she kissed Ashlee’s wrist 3 times before she has to perform. In 2005, She did a tiny pair of cherries on the outside of her right ankle. Then, she did the sign of “Peace & Love” on her middle finger. 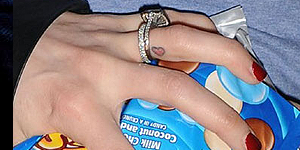 In 2008, Ashlee did a little red heart on her ring finger in honor of Pete Wentz to whom she got engaged in April 2008. 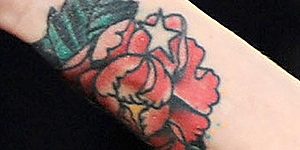 In 2008, she completed her first tattoo with a red flower, colorful peony. There is no meaning about this tattoo, she simply wants it. 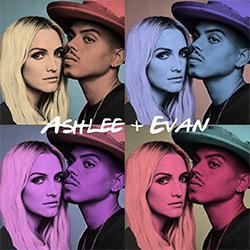 In 2015, I notice that Ashlee has a new tattoo behind her ear, a little “AE” that she shares with her husband, Evan Ross. In May 2018, she did a little cross on her finger.